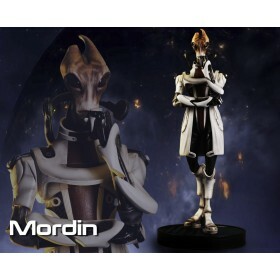 Non Refundable Deposit: $60.00Non-refundable deposit will be charged immediately upon order placement. 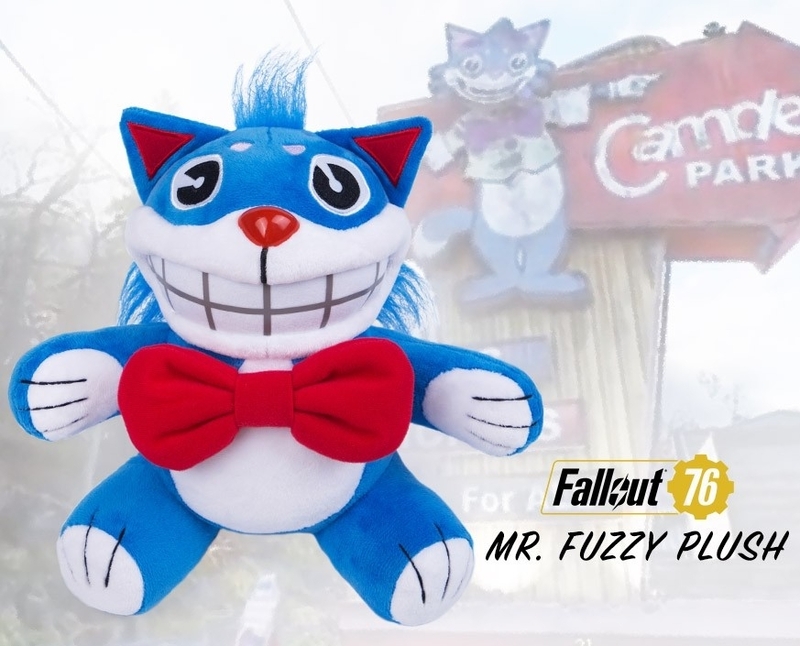 You will earn 600 Credits for purchasing this product. 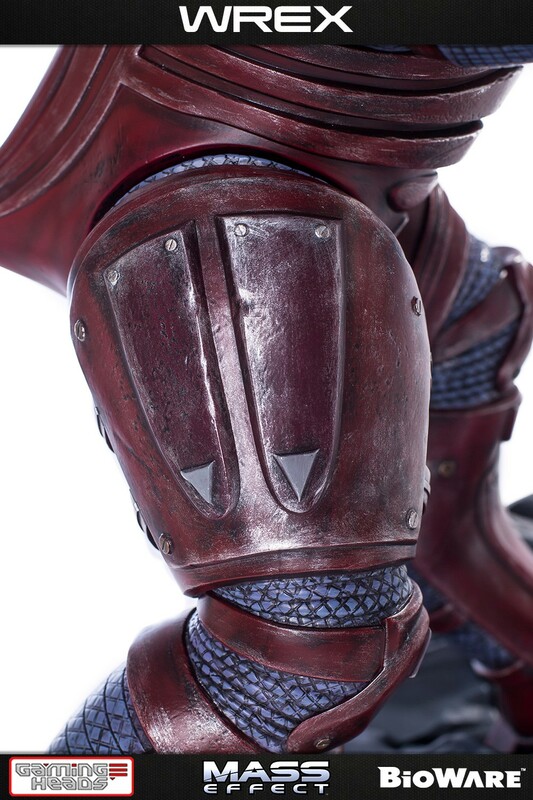 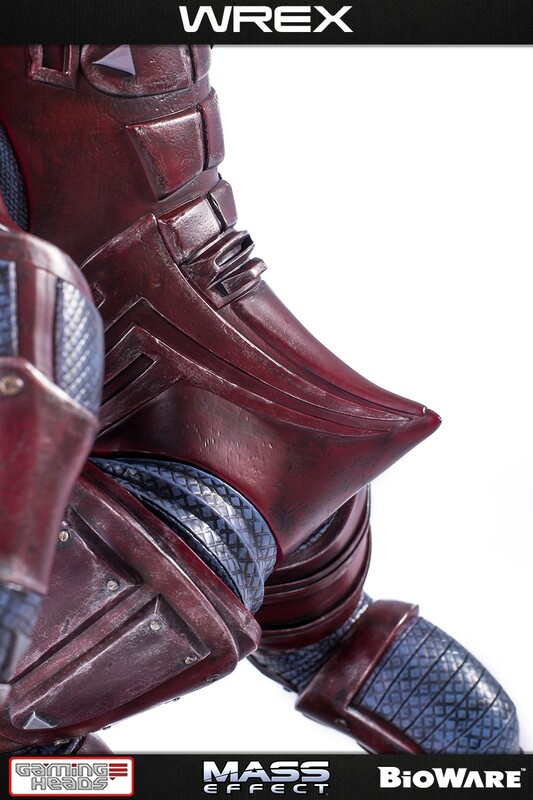 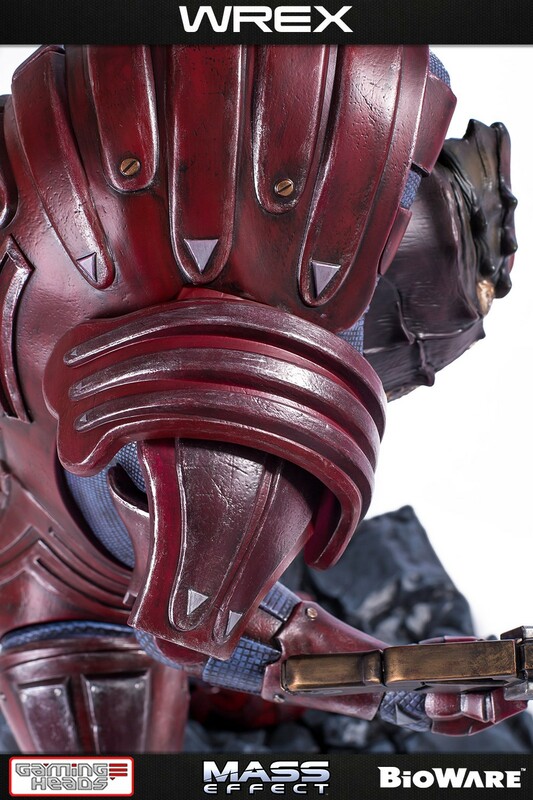 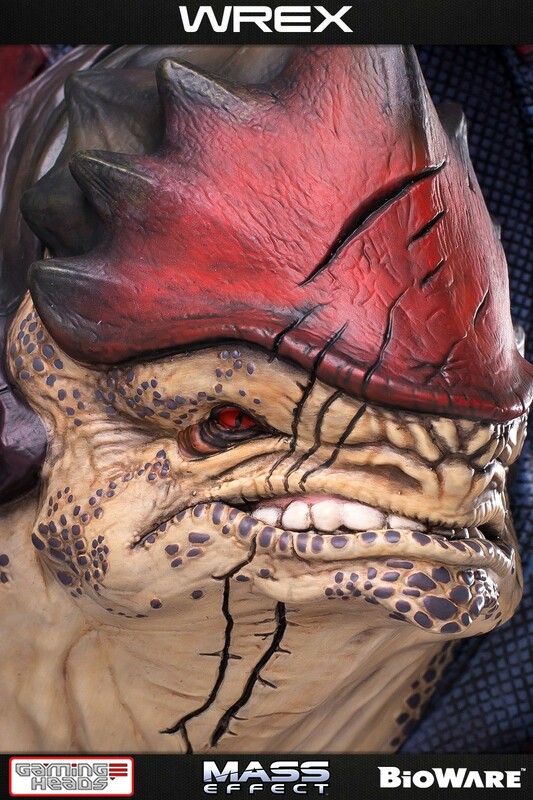 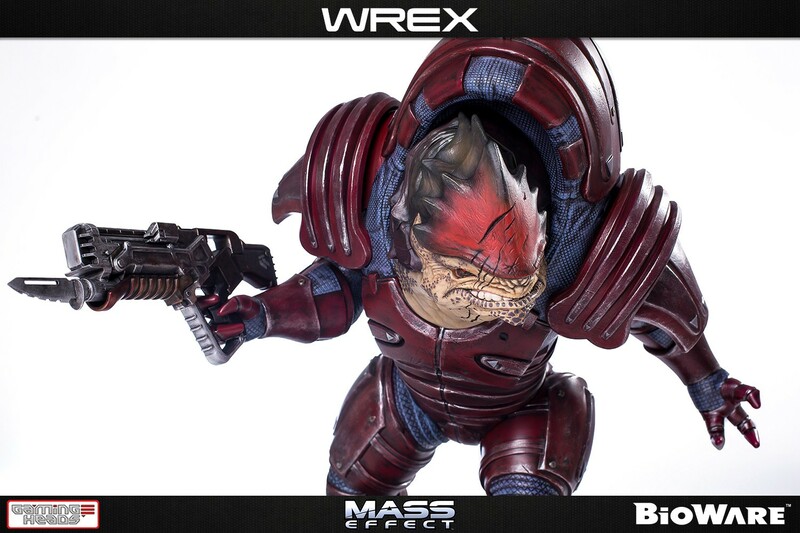 Famed krogan and bounty hunter, Urdnot Wrex is one of the last krogan Battlemasters. 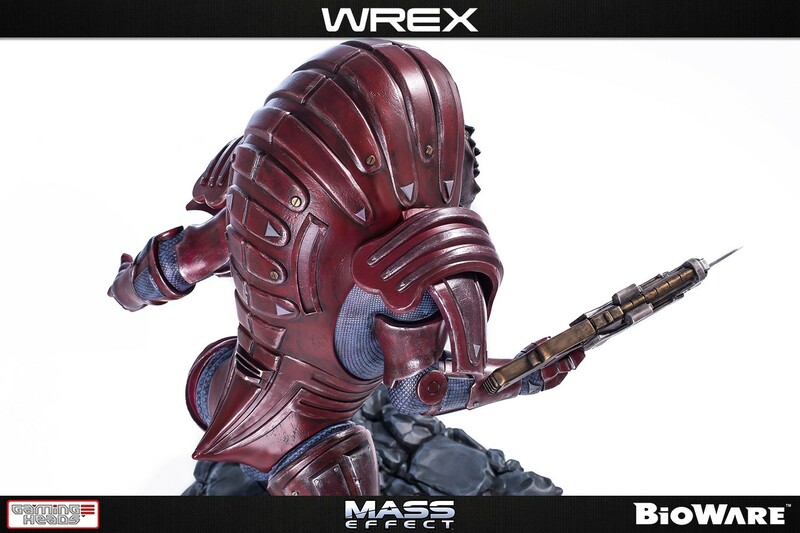 These legendary fighters tear through enemies with powerful biotics and devastating firepower. 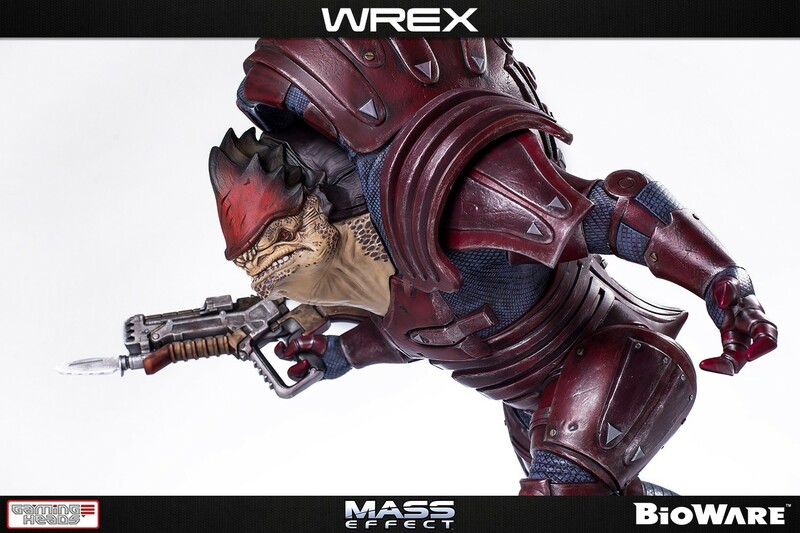 Although he makes a living by selling his skills, Wrex is deeply concerned with the fate of his people and is one of the few to focus on a new krogan future after the genophage. 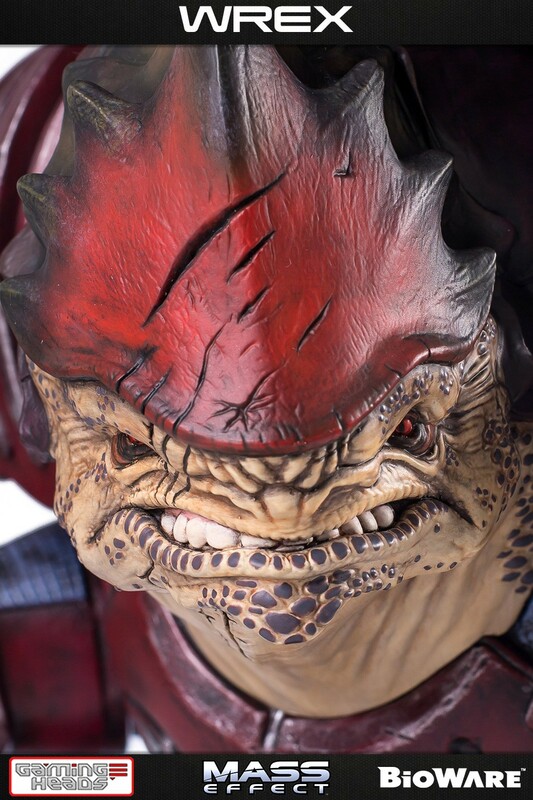 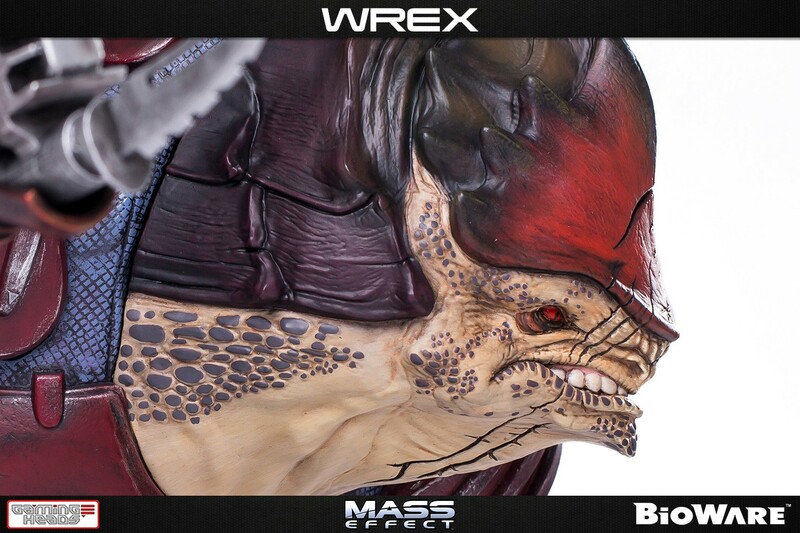 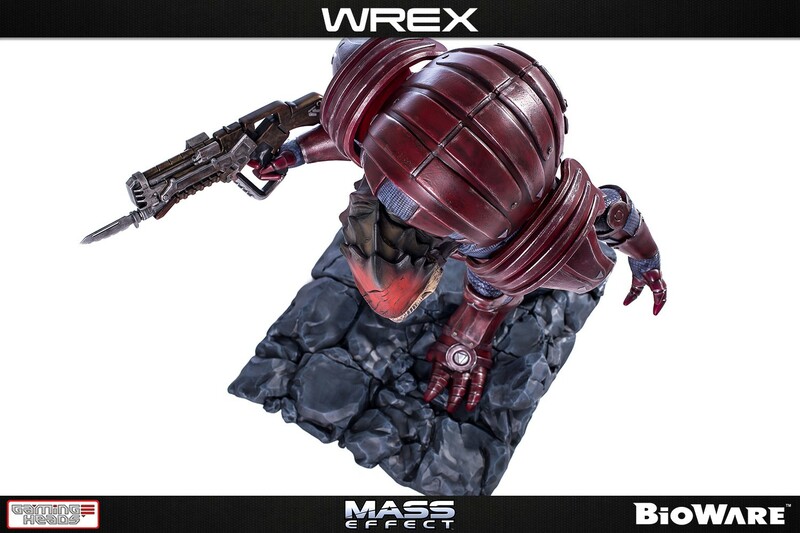 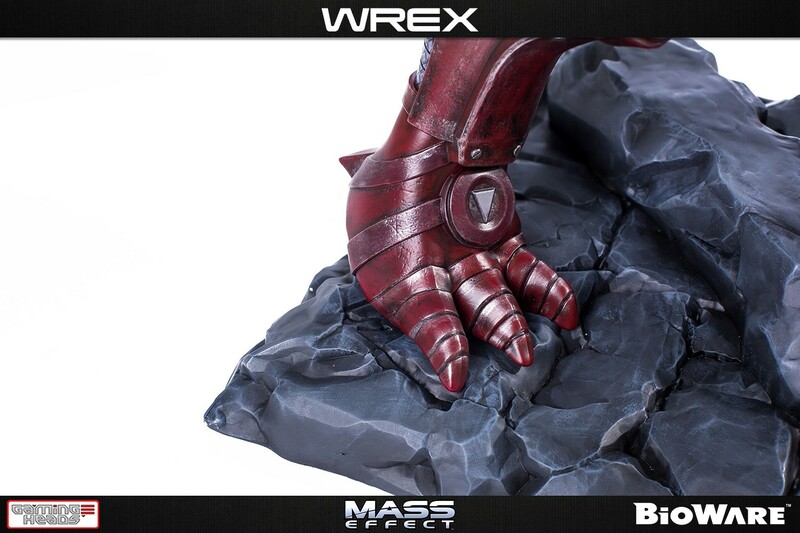 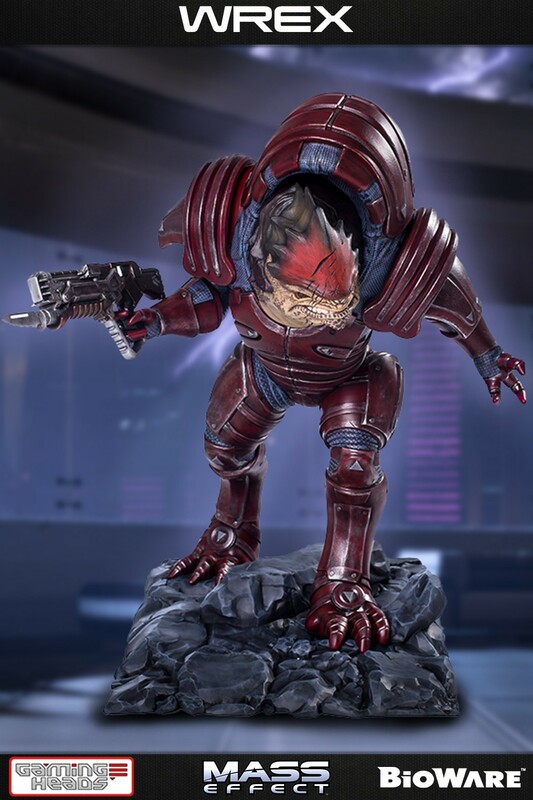 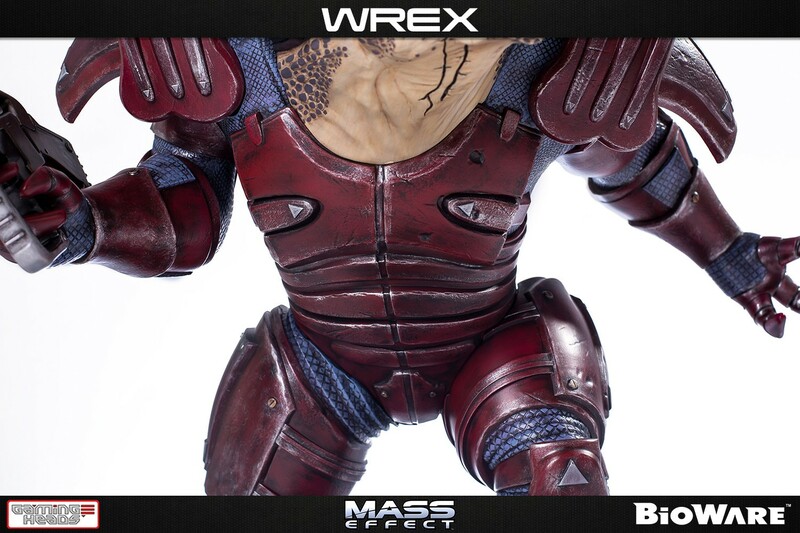 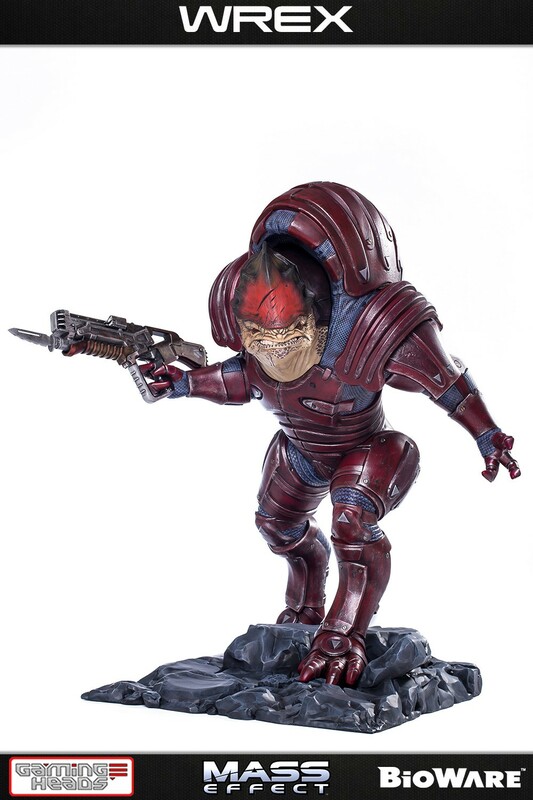 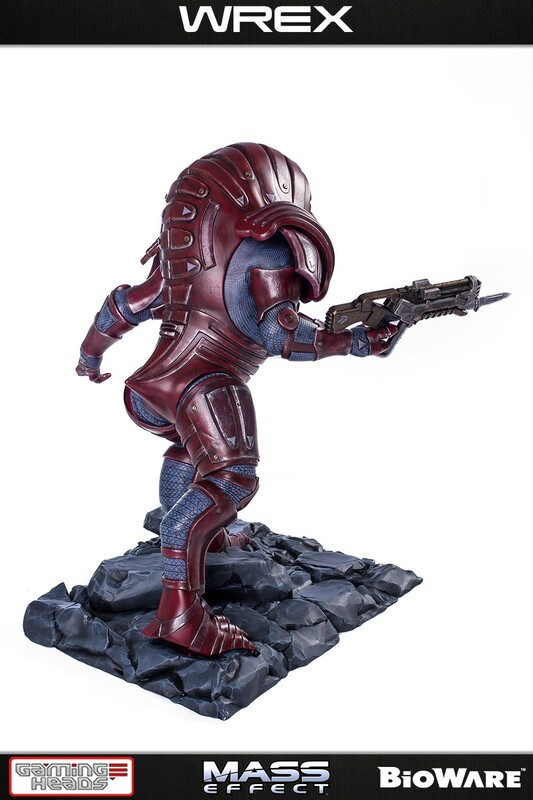 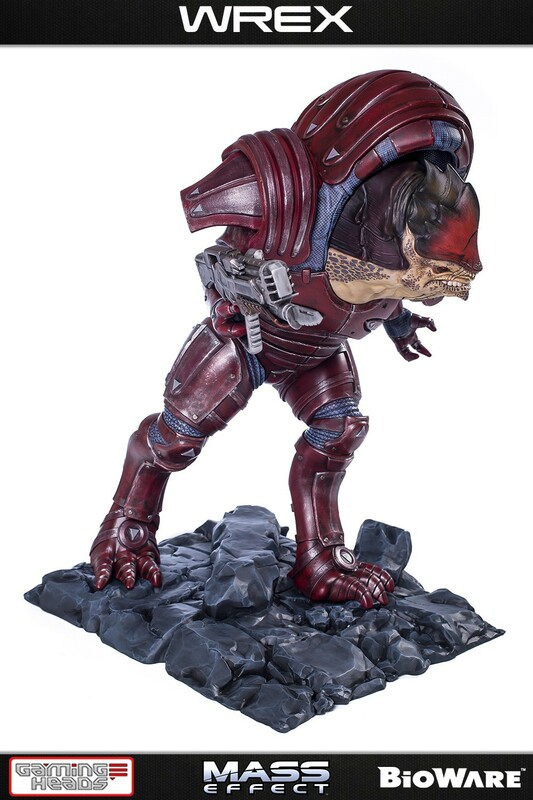 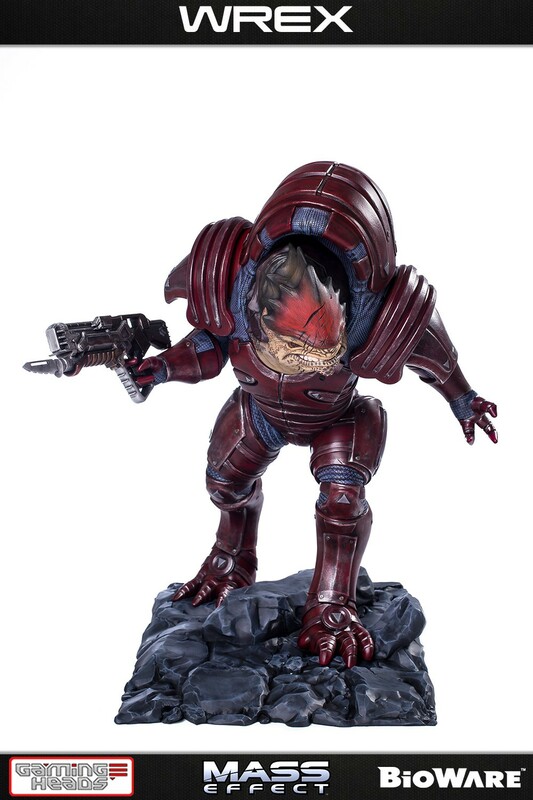 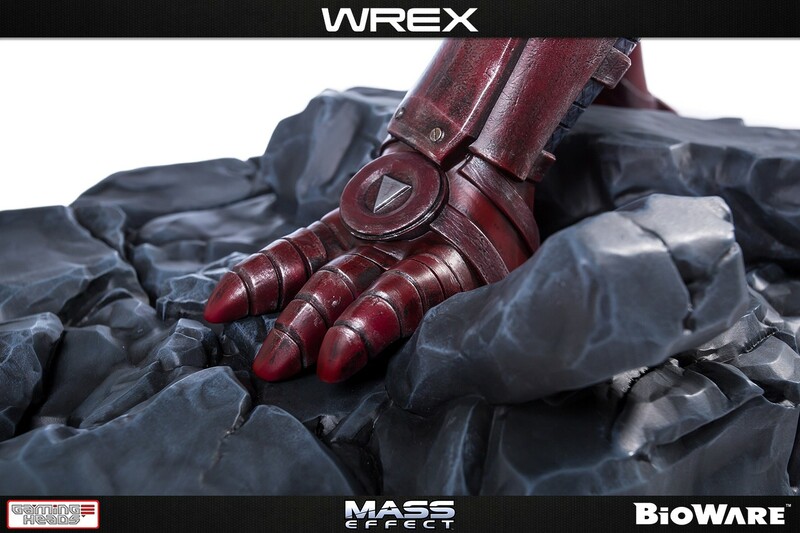 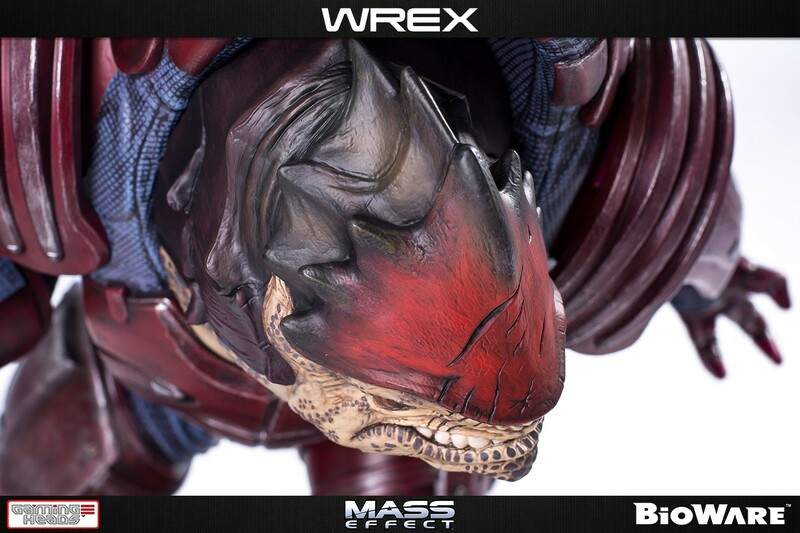 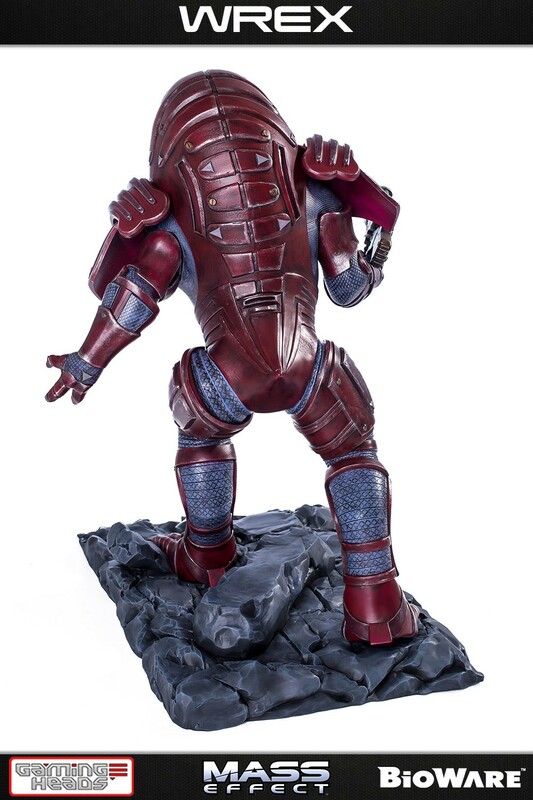 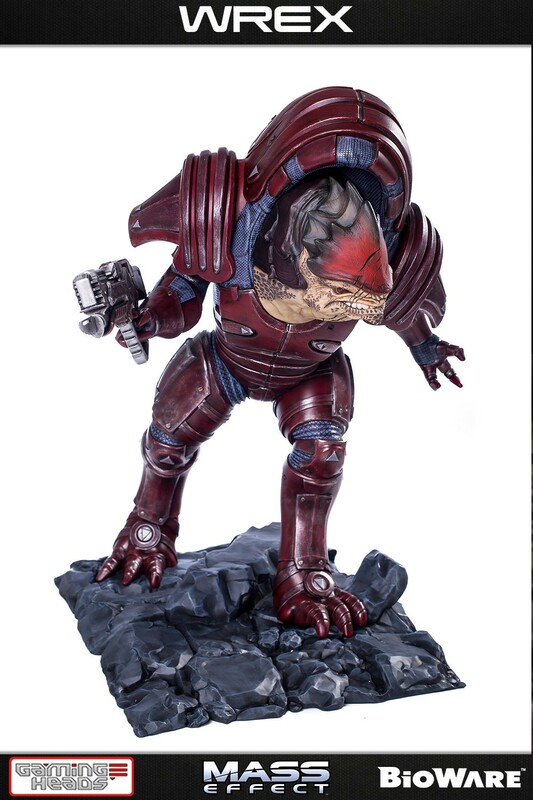 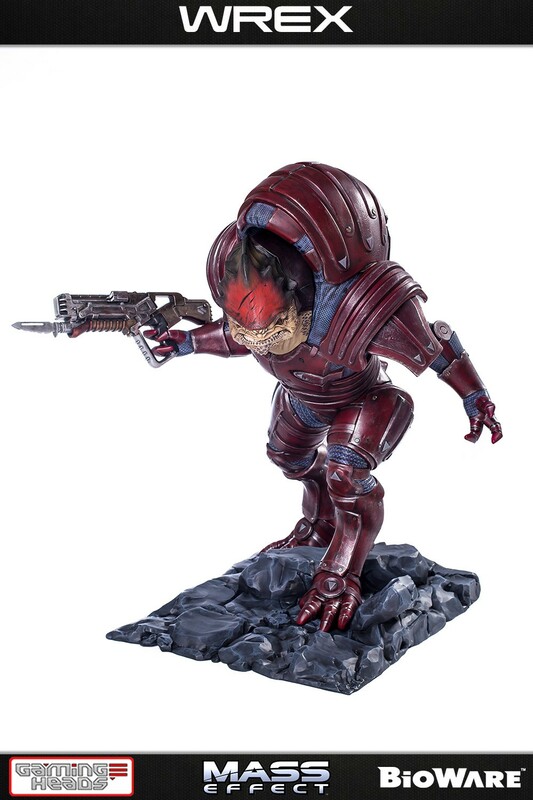 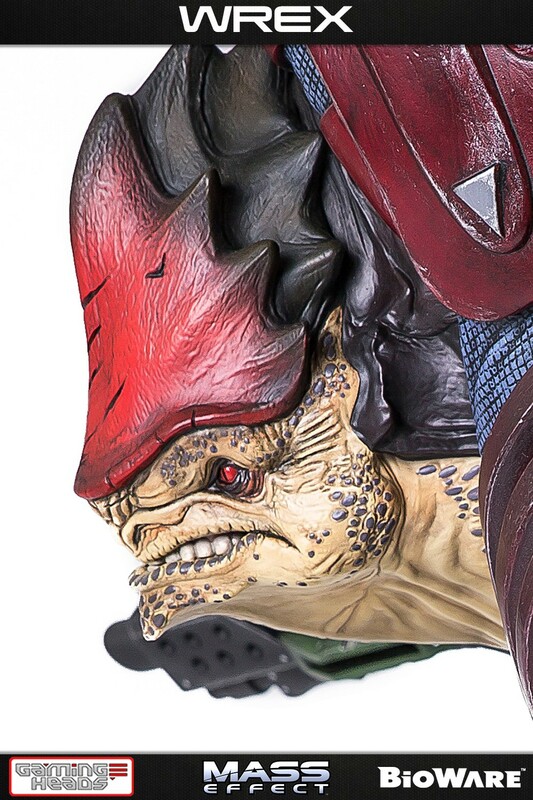 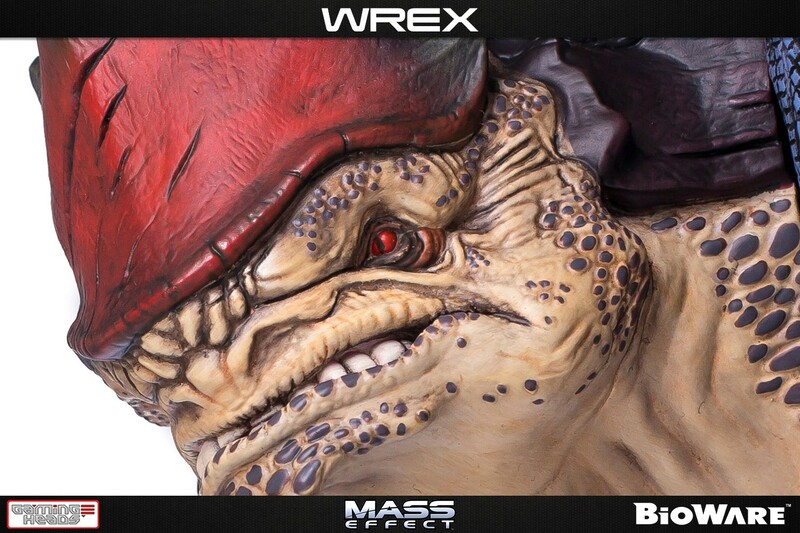 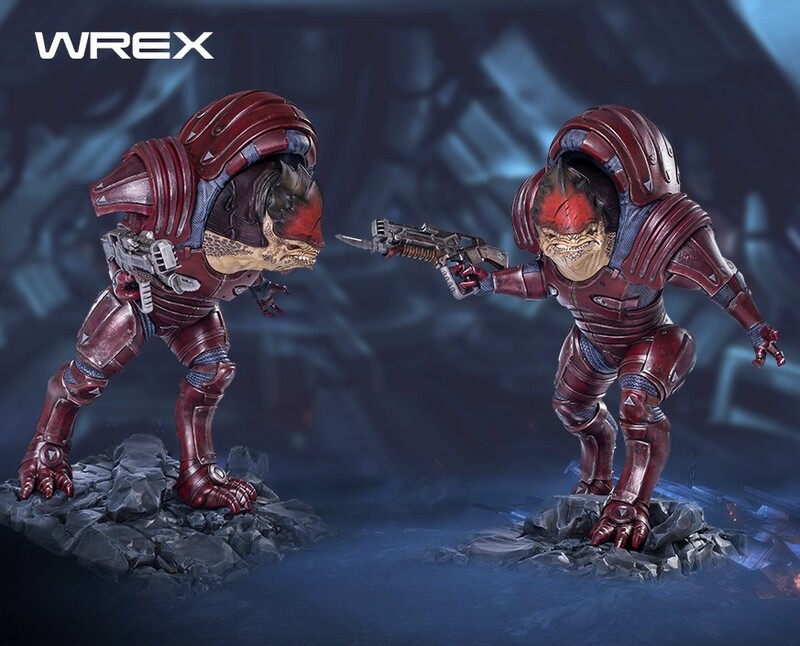 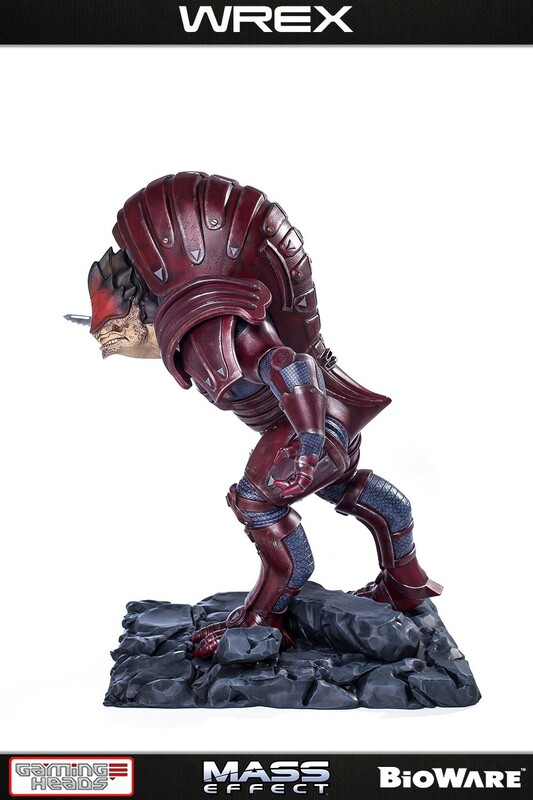 Gaming Heads proudly presents the Mass Effect™: Wrex regular edition statue (also available in a exclusive edition). 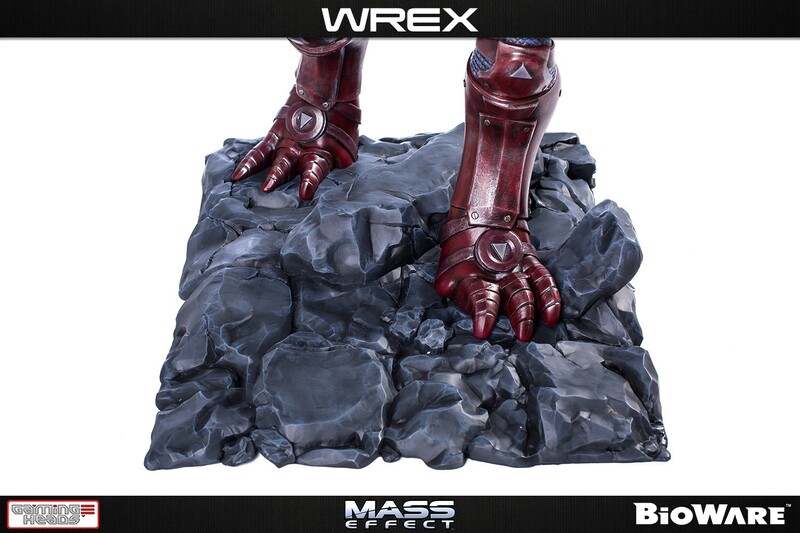 Standing approximately 23 inches tall (1/4 scale), the Wrex regular edition statue is carefully cast in polystone resin and hand-painted by artisans. 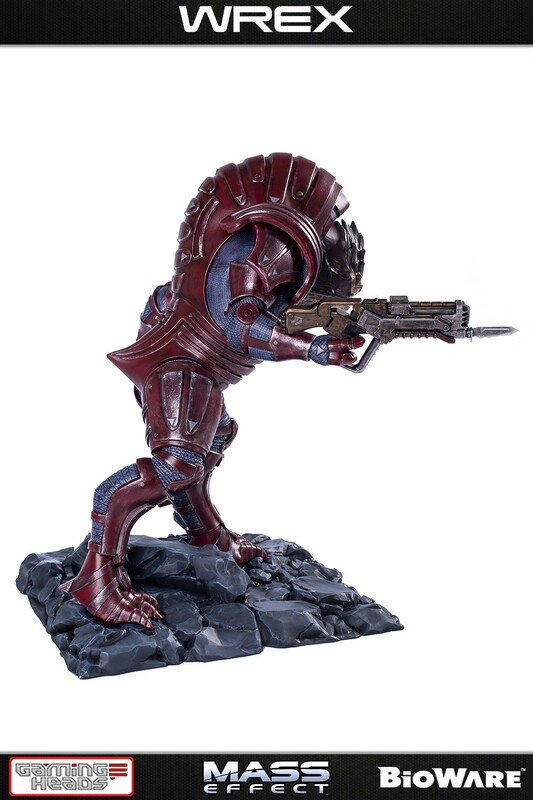 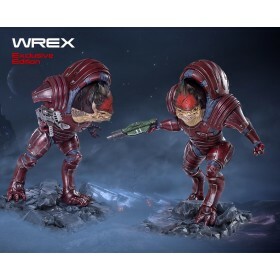 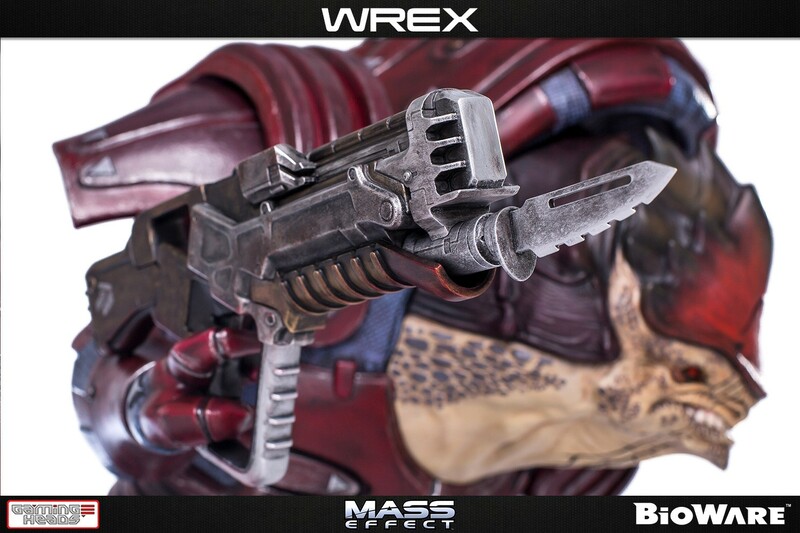 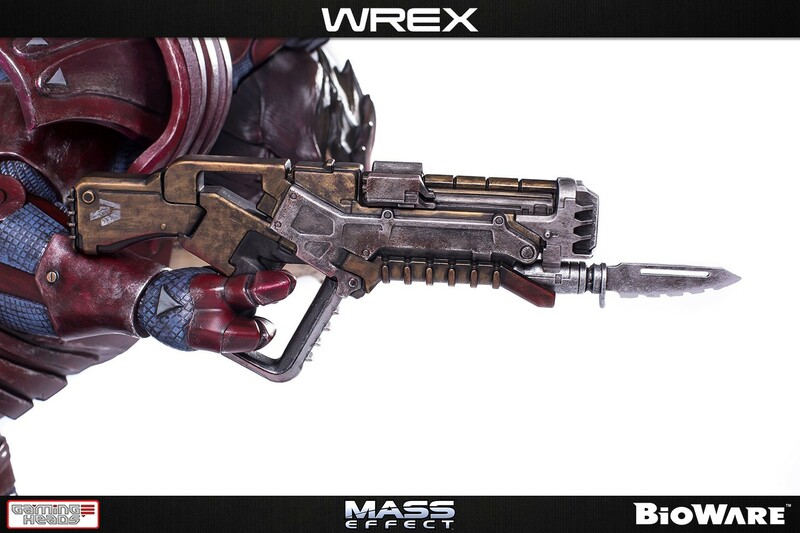 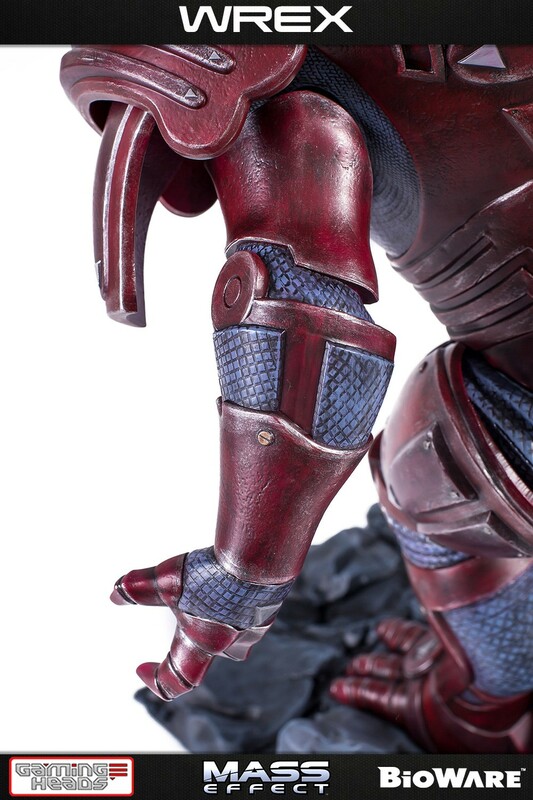 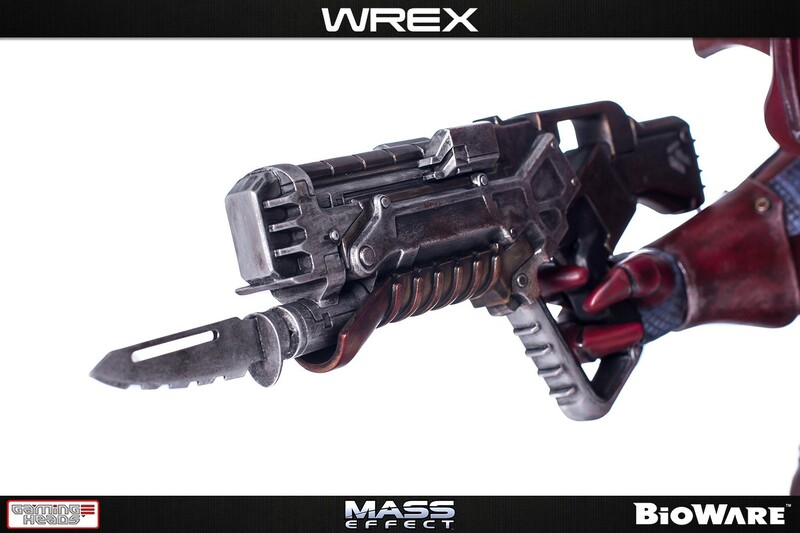 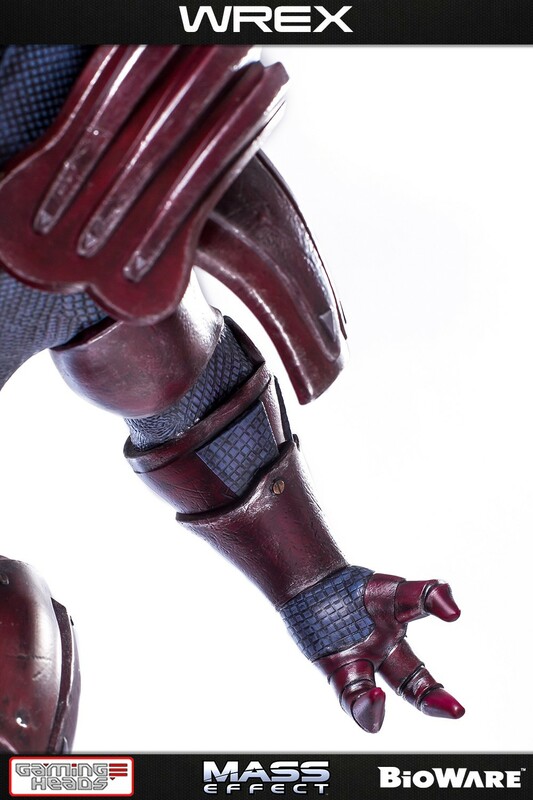 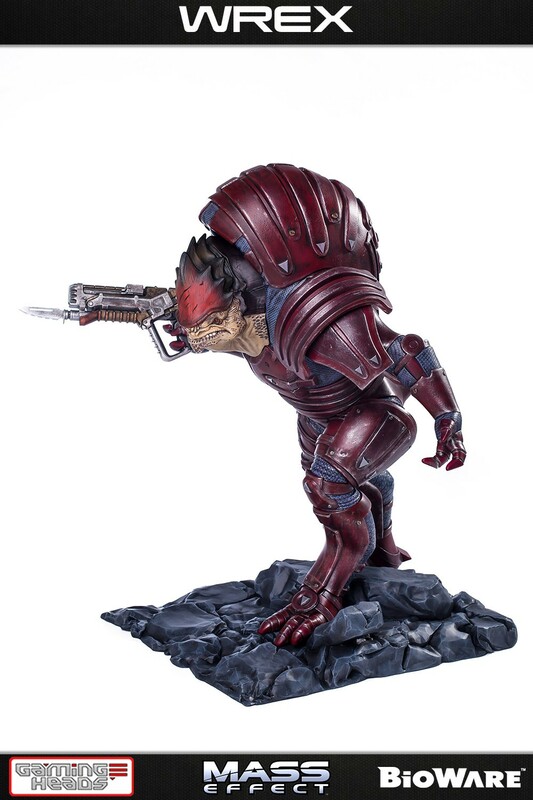 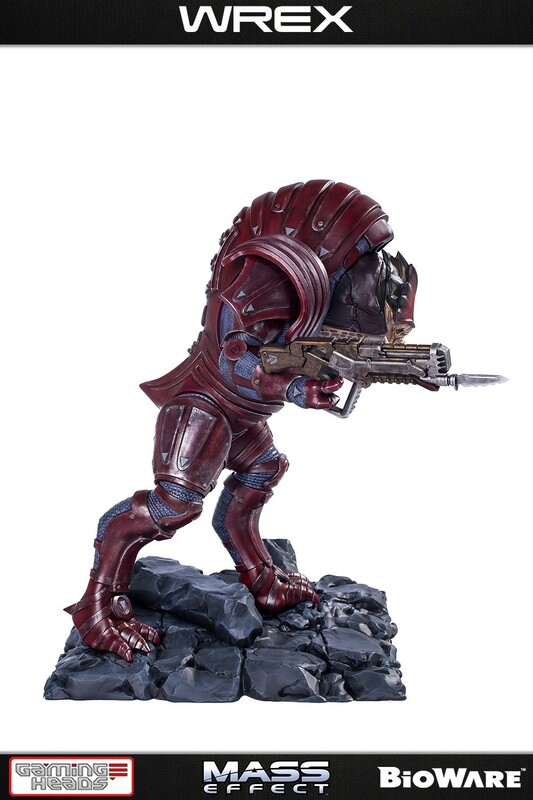 The Wrex regular edition statue comes with the Graal-spike thrower shotgun and open left hand. 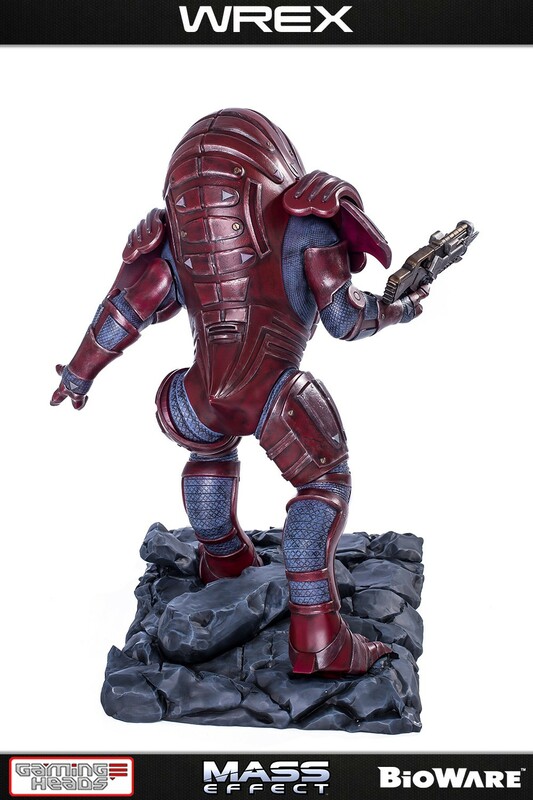 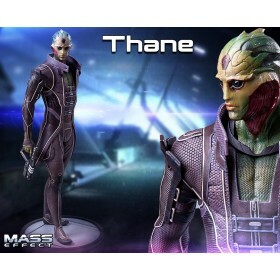 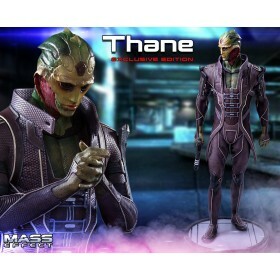 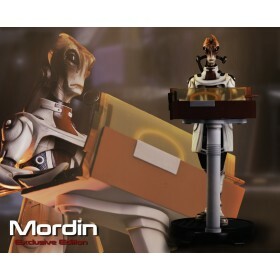 Each statue arives in deluxe full-color packaging, has a hand-numbered base and includes a certificate of authenticity that allows you to purchase the same edition number for future releases in the Mass Effect™ series. 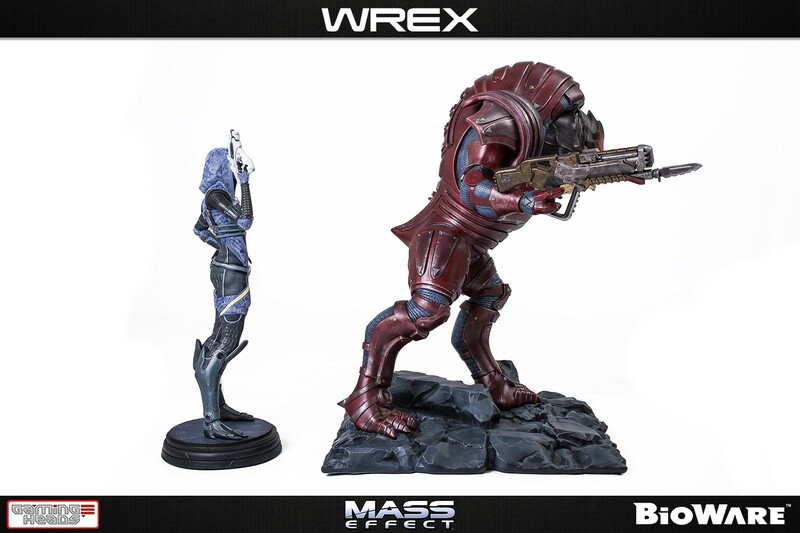 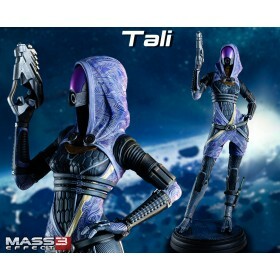 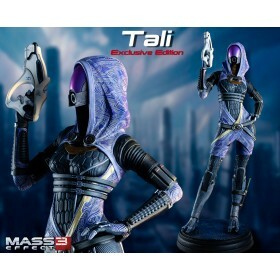 Pre-order now to secure an edition number that matches your previous Mass Effect™ statues. 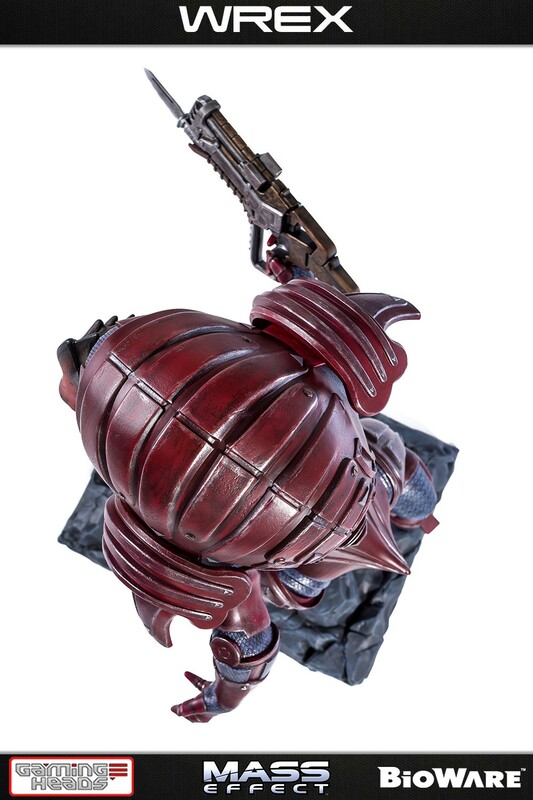 Limited to 1000 pieces worldwide. 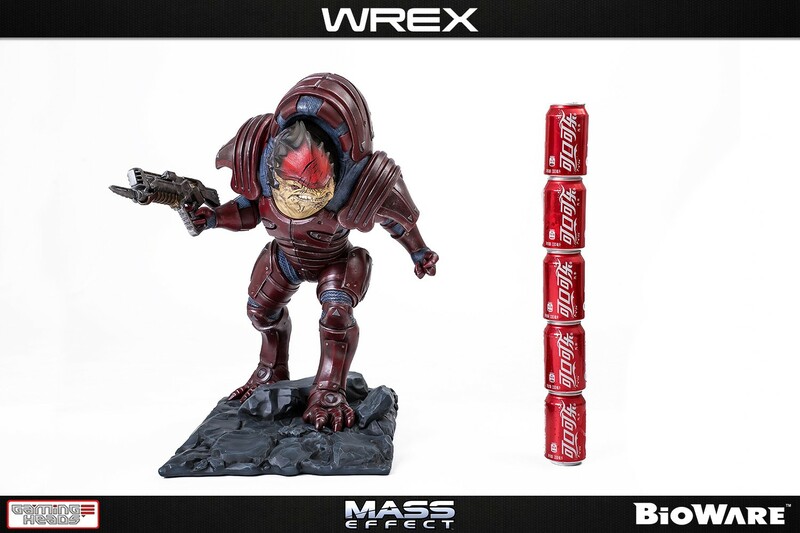 Images shown are representative only. 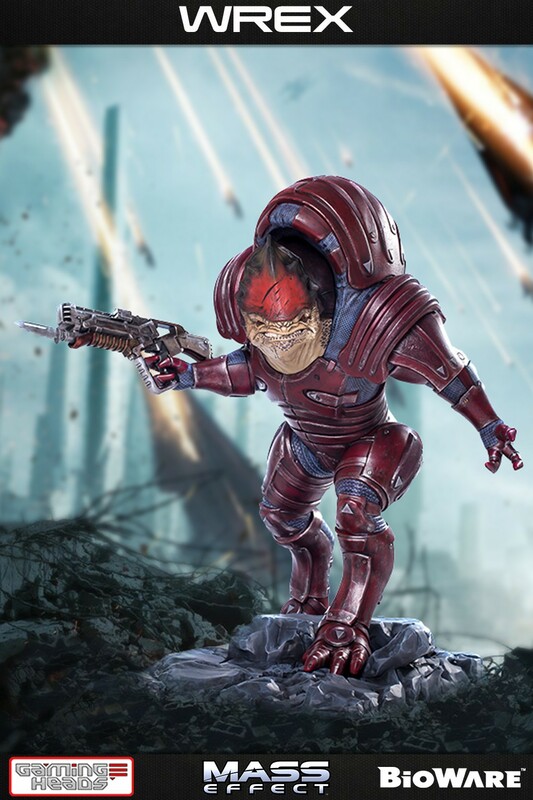 Final product may vary. 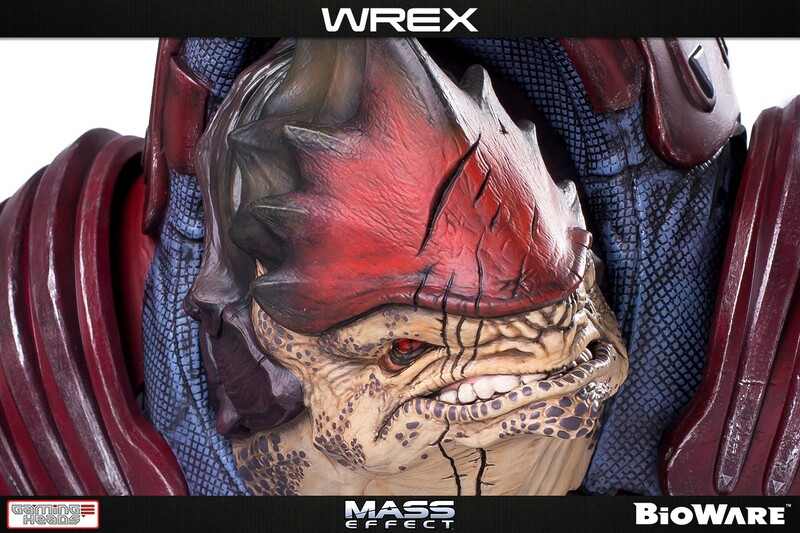 Mass Effect: Wrex drop test!